Microsoft is calling the launch of Halo 4 on Monday night "the year's biggest entertainment event," and that non-humble brag may be close to the truth. Halo 4 is the first game in the seminal shooter series to be developed by a studio other than Bungie (besides 2009's Halo Wars, a strategy game outside the main series). The game will debut at midnight in 10,000 retail stores in 40 countries worldwide, and fans will likely wait in line for hours so they can start playing it as soon as possible. Expectations are high, as the iconic Master Chief character will return after five years absent from the series, but doubts over a new developer are prevalent as well. Bungie created the first Halo game, released in 2001, for Microsoft's original Xbox console, but the Bellevue, Wash. game studio has moved on to a new series in conjunction with prominent publisher Activision. Microsoft had no intentions to let Halo die, though, despite a satisfactory ending to the trilogy with 2007's Halo 3. Thus Microsoft's new in-house game studio 343 Industries was formed to develop a new Halo trilogy, beginning with Halo 4. Based on statements that 343 Industries' Halo Franchise Director Frank O'Connor made to TechRadar, it seems likely that the series will continue beyond the current gaming generation and onto the Xbox 720. For many fans, Master Chief is to Xbox as Mario is to Nintendo, but the 10-foot-tall super soldier was absent in both 2009's Halo 3: ODST and 2010's Halo: Reach (besides a brief cameo in the latter). Not that those games did poorly: ODST reportedly raked in $170 million (UK£106, AUD$164) in its first 24 hours of sales. The series as a whole has reportedly sold 46 million copies worth a total of $3 billion (UK£1.87, AUD$2.89). Microsoft Studios Corporate Vice President Phil Spencer recently told Polygon that Halo is Microsoft's "most important entertainment product," and that Halo 4 is "absolutely" the most expensive game the company has ever made. 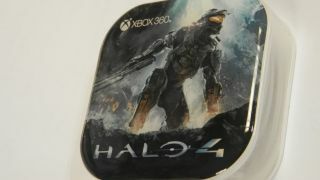 "The launch of Halo 4 is a prominent entertainment event and we're thrilled to be partnering with Microsoft to host midnight celebrations across the country," said Tony Bartel, president of GameStop, according to GamesBeat. "Our community is anxiously awaiting the return of Master Chief, and there's no doubt in my mind that Halo 4 will be one of the biggest games of the year."